The booklet's words are gold embossed. It measures 8.5 inches by 11 inches and contains 44 unnumbered pages, some in color. 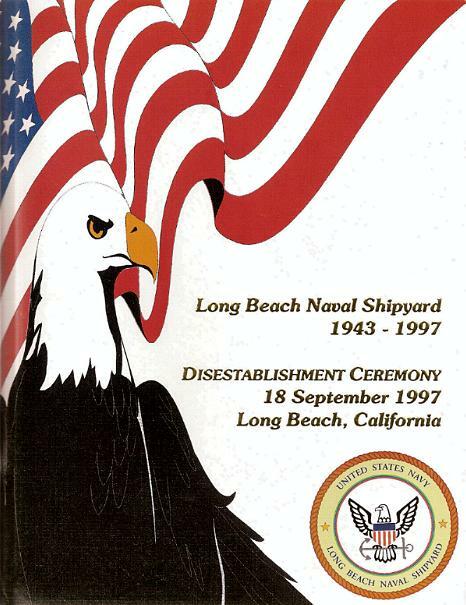 During its years of operation, the Long Beach Naval Shipyard produced a weekly newspaper called the "Digest". The following are scans of 3 of their front page logos. To see all the pages of this booklet, click on the Index button below.